While electronic circuits and nanomachines grow ever smaller, batteries to power them remain huge by comparison, as well as short-lived. But now Cornell University researchers have built a microscopic device that could supply power for decades to remote sensors or implantable medical devices by drawing energy from a radioactive isotope. The device converts the energy stored in the radioactive material directly into motion. 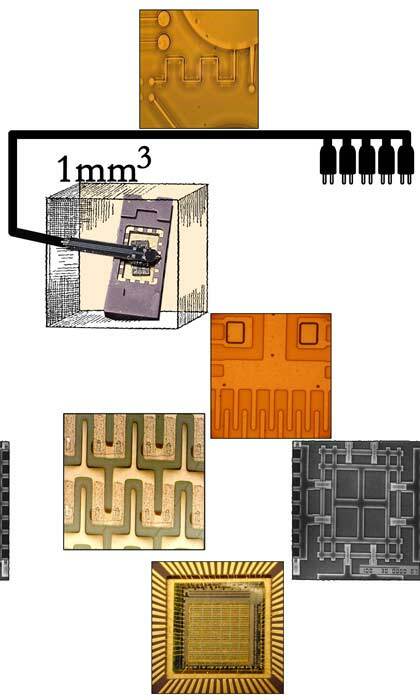 It could directly move the parts of a tiny machine or could generate electricity in a form more useful for many circuits than has been possible with earlier devices.